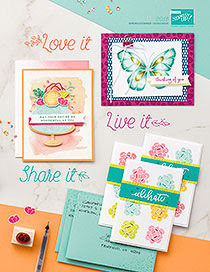 The Celebrations Duo Embossing Folders don't actually emboss the words, they deboss them, pressing them into the card stock. 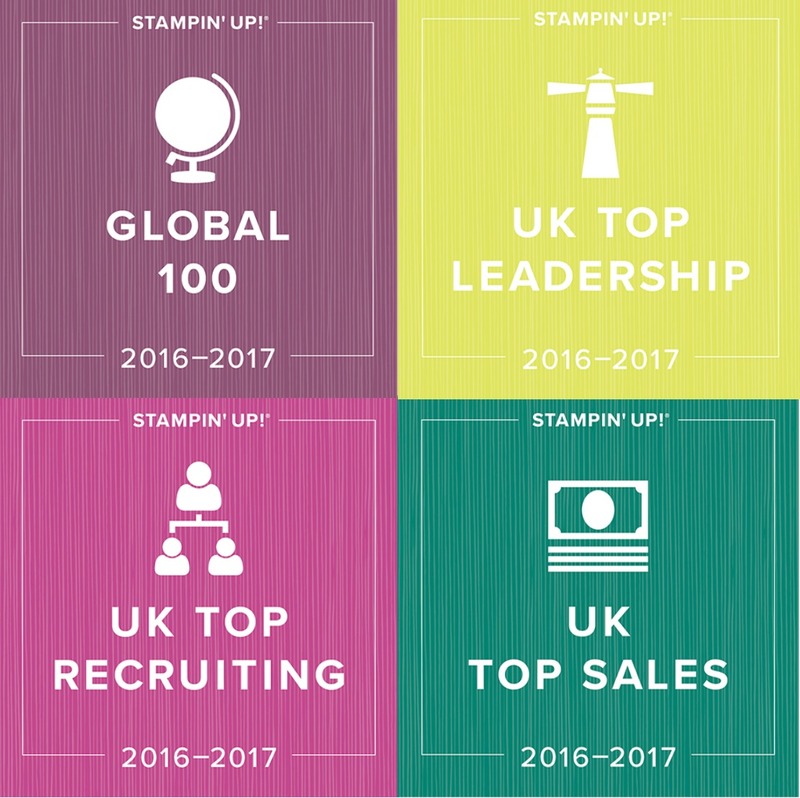 That means when you stamp over the top, the embossed word doesn't pick up the ink and so it magically appears when stamped over the top. 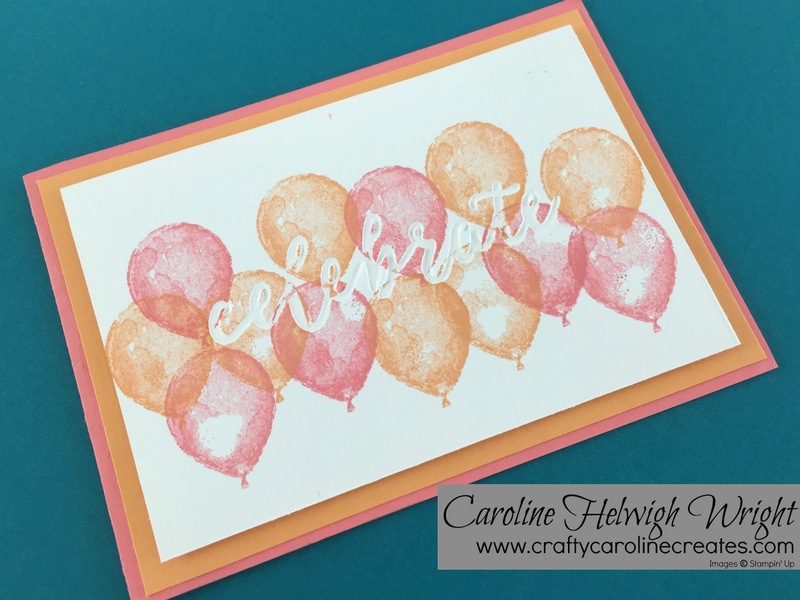 Here I stamped over the top with one of the balloons from the Balloon Builder stamp set. 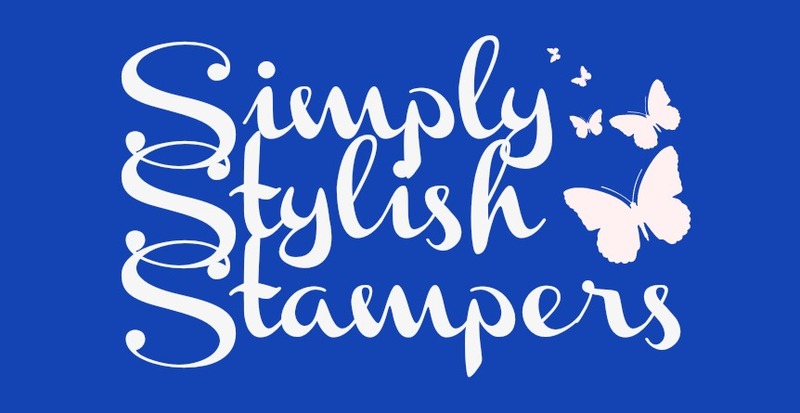 This stamp set gives a lovely light water coloured effect. I've used Flirty Flamingo and Peek-a-boo Peach. Not a colour combination that I would instinctively choose but I really like it here.